I've had my greatland for almost 20 years of hard desert and mountain camping. Its the best tent ever. I need a new one, apparently they only last 20 years of serious use... so be forewarned... that $400 kelty might last longer cause you'll use it about half as much (because it takes five times longer to set up, 10 times as long in the dark.) Unless you're backpacking, ignore the hype and get one (they are too heavy to pack). I loved my Greatland tent. It had been to 8 different states and I used it for over 10 years. I can not go back to stringing poles through a tent. My greatland would set up in less then 5 minutes. I am heartbroken that my dog shredded it and I am not finding much online to replace it. We have two Greatland Tents. The first one we bought over 17 years ago. Just a simple 2-person dome tent, without the built-in pole system, which kept my husband and our two dogs dry and comfortable while we camped our way through New Mexico, Colorado, Wyoming, Utah and Arizona. Love that tent! Our teenagers use that tent now. We're gotten years of great use from it. 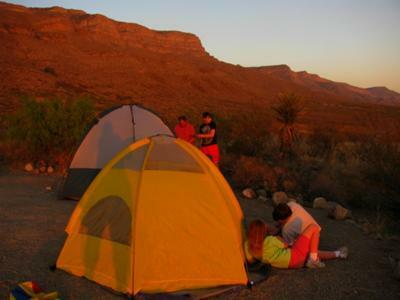 About 14 years ago we bought a larger 5 person dome tent with rear vestibule and built-in poles. We still use that today, even though we bought a tent trailer (it stinks getting older). It's just easier to be able to camp with the tent if we're only camping for a couple days. The built-in poles make it a breeze to put up and take down the tent, even by myself. I've been wanting to buy another Greatland Tent for the kids and was doing a search trying to find out an online source to buy one since we're so far from Target now. I couldn't even find Greatland listed on Target's website. Greatland will probably be the only brand of tent we will ever own. Can't say enough good things about the quality of their products. I love my greatland tent! I bought a 2 room Greatland tent roughly 6 months ago. I didn't have a chance to try it out until a couple weeks back. Roughly 5 friends and I went out to Minneopa State Park near Mankato, MN. We arrived at our campsite at about 6 PM and the tent was the first thing to go up. It was the easiest thing to go up, too. My friend Ben was so impressed he actually bought his own. It rained lightly, but we had absolutely no problems or leaks. I'm glad I made the right purchase. My last tent leaked in a few different places. Great website you have going here! Keep it up! Comments for I love my greatland tent! Thanks for your comments, Michael, and I'm glad you are enjoying your tent. Happy camping!